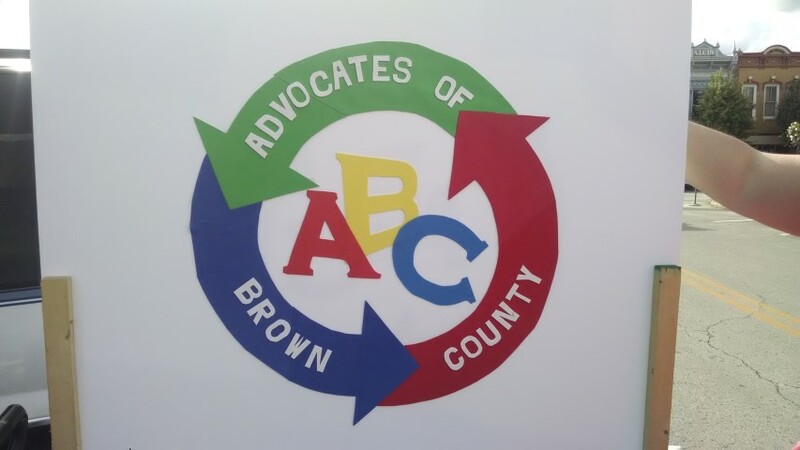 ABC is the name of our Self-Advocacy Group in Brown County. It stands for Advocates of Brown County. ABC will be meeting on the first Wednesday of each month at 4:00 P. M. at the County Board office located at 325 West State Street, Building A, Suite 2, Georgetown, Ohio 45121. These meeting are subject to change. The ABC group would like to extend an invitation to other individuals who would like to find out more about self-advocacy. Please plan to join us! 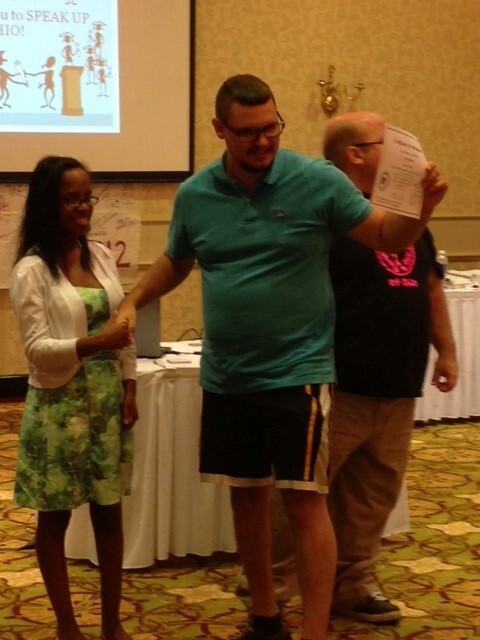 Four Brown County Individuals attended Project STIR Training from August 31 to September 3, 2015 in Chillicothe, Ohio. Each individual enjoyed Project STIR greatly and learned alot about Self Advocacy. They made some new friends and say they want to attend another Project STIR in the future. Please enjoy the pictures that they brought back to share. The individuals would like to express their gratitude to the Brown County Board of Developmental Disabilities Board of Director's for the support and opportunity to attend Project STIR! 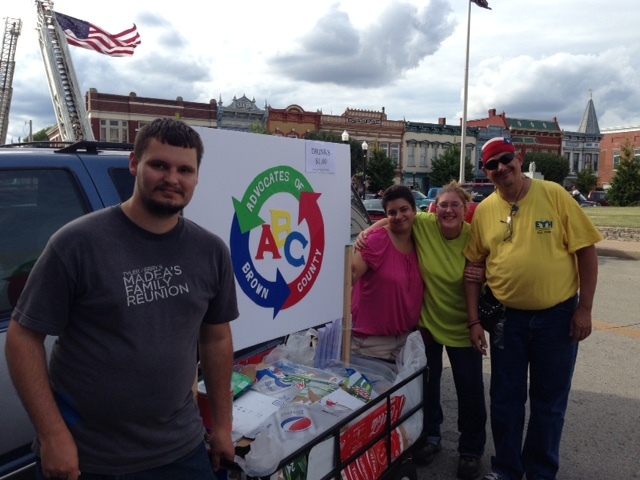 The ABC Self-Advocacy group sold soft-drinks and water to the crowd waiting in anticipation for the 2015 Fair parade on Monday, September 28, 2015. The group was moble and worked a four block area on both sides of the street around the Court House Square. Below is a picture of the sign with the logo for ABC Self-Advocates group.